Love or romance, should we say, has always been in the agenda of the mankind. Even in the pre-Christian times of the ancient Rome. 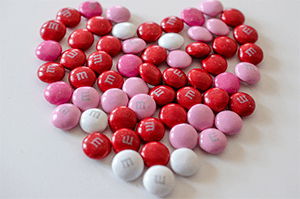 Valentine’s Day is believed to be originated from the pagan celebration of spring. It was known to be the feast of Lupercalia which lasted 3 days in February. This celebrations were on 13,14 & 15 of February in the 3rd century. Huge amount of drinking, wild merry-making involved. They sacrificed animals, namely goat and dog. And quite brutally the women of the 3rd Century were known to be lining up to be beaten by men with the skins of these slain animals, trusting that this will make them more fertile. The modern equivalent of ‘match-making’ was then performed to heighten up the excitement of all joining the fete. During these celebrations, men drew the names of women from the jar, in very much like a lucky-dip fashion, to couple with the denominated women and stay as a partner for the duration of the celebration. Sometimes it even outlasted the celebrations if it proves to be a match made in heaven. Having set the scene for a very primitive and sensual pre-Christian Rome, beside celebrating spring with match-making, drinking, coupling, something else was happening on the same soil. Christianity was heralding its penetration into Roman people by a certain degree. It was quite tough and punitive at times. The Bishop of Terni, an Italian city in the region of Umbria, was busy converting pagan Romans into Christianity. Having the supreme power of healing, combined with the compassion and modesty, St Valentine was successfully converting a healthy number of Romans into Christianity under a quite ruling of Emperor Claudius II. He was secretly marrying Christian couples which was a very daring act to say the least under the ruling of Emperor Claudius who had banned marriage for the sake of not softening the hearts of his soldiers to battle well and tough in the battle fields. According to various legends, St Valentine wore a pure amethyst ring with an image of Cupid engraved in it, a symbol directly associated with love. Roman soldiers would recognize the ring and ask St Valentine to perform marriage for them. Again probably due to the association of amethyst with St Valentine, it has become the birthstone of February and in turn thought to attack love. When St Valentine attempted to convince Claudius of Christianity, Claudius became raged and sentenced St Valentine to death if he wouldn’t renounce his faith in Christianity. As the saying goes, the first Valentine letter was written by St Valentine to bid farewell to the love of his life Julia and as you may have guessed, signed ‘Your Valentine’. Julia was the blind daughter of St Valentine’s jailer and St Valentine had exercised his super healing power on this girl and endowed her with her eye-sight intact. The spirit of Lupercalia was kept very much alive during the middle ages. It probably gained a more courtly aspect compared to the pre-Christian Romans’ hitting and beating women; getting drunk and naked. St Valentine has been martyred by Pope Gelasius at 496 AD and finally marked February 14th as a celebration in honour of his martyrdom. This is how St Valentine happened to be the patron saint of love, marriage, romance and young people. There may be doubts regarding the actual identity of St Valentine, but we know that he really existed. Archaeologies have unearthed a Roman catacomb and an ancient church dedicated to him along with some other relics. Sending out hand-made cards, embellished notes featuring Cupid and hearts became quite prevalent during the middle age and gradually gained a more worldwide practice. In the 1840s, sending out the Valentine cards became so popular that factories started to mass produce them in America, later in England and then it spread out to all the colonies too. The aim was to make card-sending easier and more affordable. Today according to the Greeting Card Association, an estimated 1 billion Valentine’s Day cards are sent each year, making Valentine’s Day the second largest card-sending occasion of the year after Christmas. In our modern times, the commercialisation continues, going beyond just sending out cards. Now the colour has became ‘Red’ to mark the importance of this special occasion. Red has become the symbolic colour of love, passion. Everyone buys red roses, red cards, red boxes of chocolate or even red stuffed toys. Valentine’s Day is also a very popular date for weddings. Stereotypes make life easier for everyone as they offer an easy solution. In this craziness of finding the perfect gift for Valentine’s Day; there is also an undeniable drive to be unique, original, different-from- the-rest attitude while we are choosing our gifts for this special day for special someone be it your girlfriend, boyfriend, your granny, step-son or a colleague. The drive to find the right Valentine’s Gift to distinguish itself from the rest of all.. Counting the number of occasions that you need to buy gifts, it is quite a tough, time-consuming job to choose a gift uniquely different. So we as Cotton & Olive are hoping that in this Valentine’s Day 2016 we may offer you that uniquely different gift to give-away to your Valentine as a perfect present. After all, love is the man’s hard labour so we need to cherish it more caringly and lovingly with a difference. And it worth the effort..